Don't forget them! 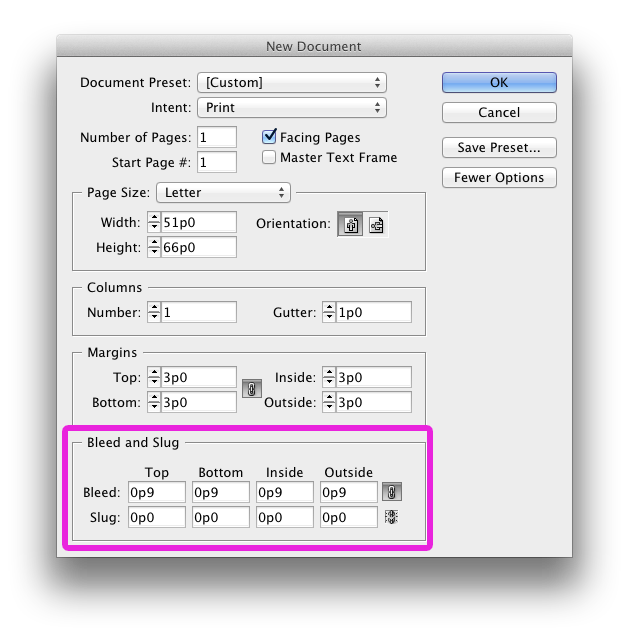 A bleed should be used when an object in your document is meant to go to the edge of the printed page. A standard bleed is .125”. Using a bleed gives some extra room to ensure that your piece is cut down to size correctly. Each Adobe program handles bleeds a little bit differently. 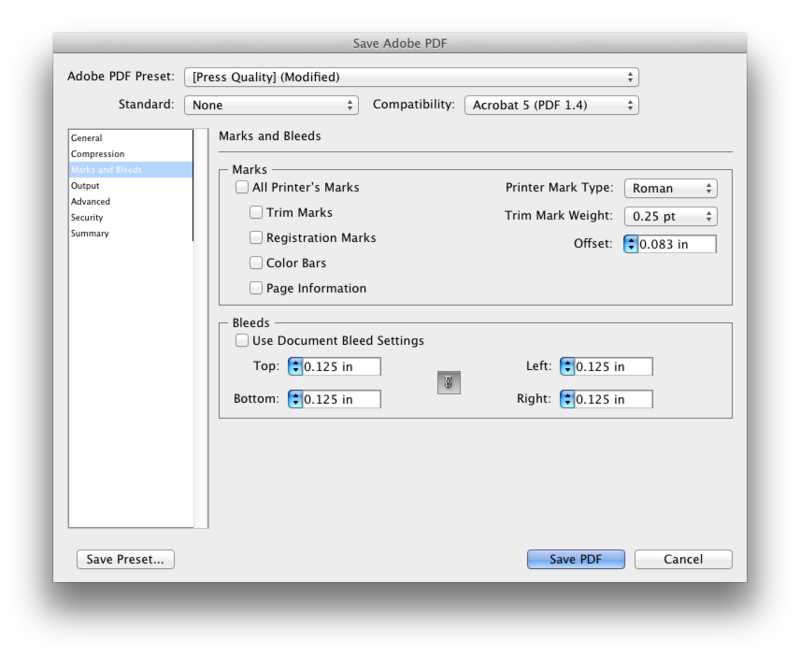 Below are examples of how to work with bleeds in InDesign, Illustrator and Photoshop. When creating a new document in InDesign, click the “More Options” button in the new file dialog box to display your bleed settings. Enter 0p9 or .125”. When your document opens you will see a red box surrounding your page area, this is the bleed. Make sure that the object you want to bleed extends all the way to this red box, not just to the edge of the page. Below are examples of correct and incorrect uses of bleed. 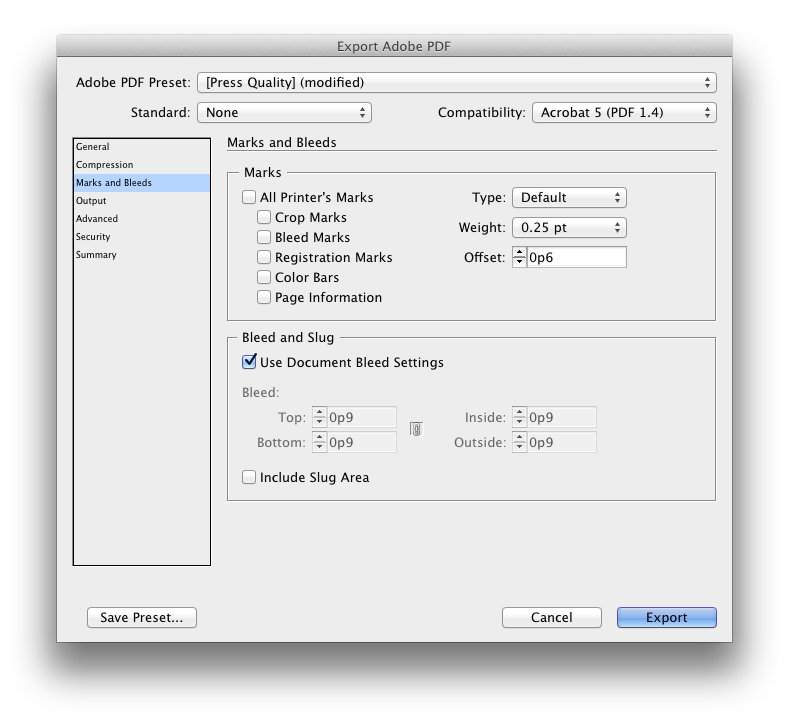 There are no bleed settings available in Photoshop when you make a new document. 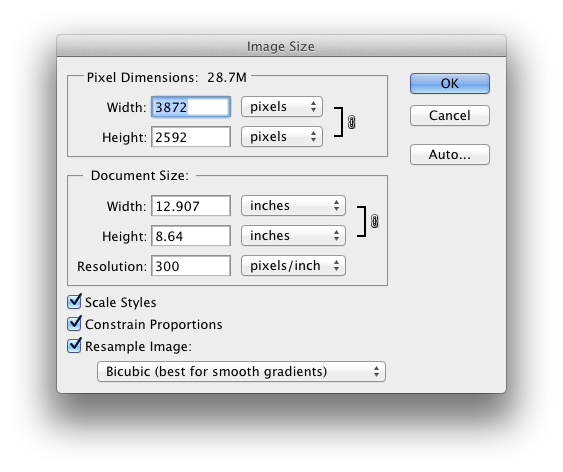 However, it is possible to create a bleed yourself by adding the bleed size to the document size. When creating a new document, add .25” to the width and height to ensure there will be an extra .125” on all sides. It is important that your document is created using CMYK in order to produce the most accurate color possible, especially when working with images and bright colored objects. Most images use RGB color, which can make them appear slightly brighter than they will actually print. 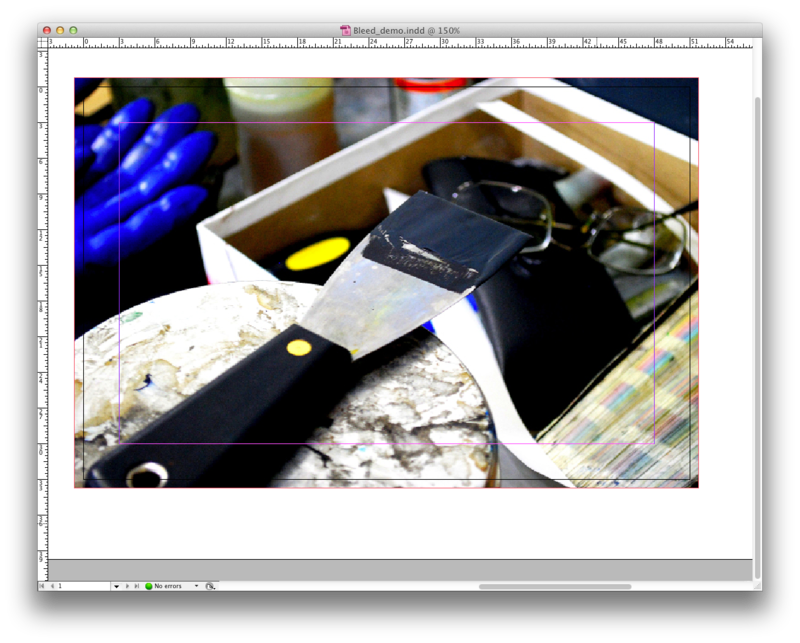 Using Photoshop is the easiest way to change your images from RGB to CMYK very quickly. Open the file and click Image > Mode > CMYK color. This will convert the color values and make the image printer friendly. It is important to always use high-resolution images when creating a printed piece. The higher the resolution, the sharper your image will look. Ideal image resolution is 300dpi. 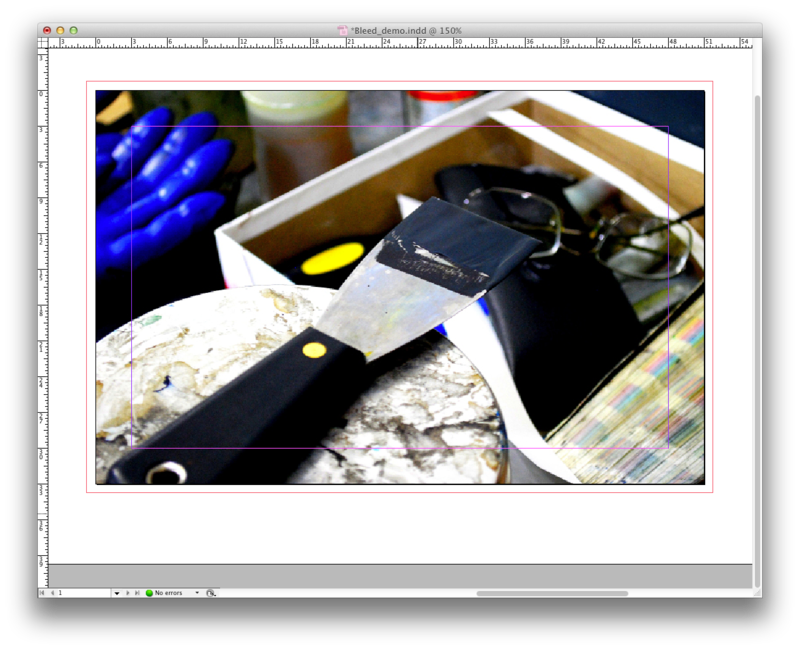 To see what the resolution of an image is, or to change it, open it in Photoshop. Click Image > Image Size and a dialogue box will appear that tells you how big the image is. Note that if you change the resolution, the size of the image itself will also change. Before you create a PDF from Photoshop, make sure your color mode is CMYK, your resolution is 300ppi and your layers are flattened. Once this is done go to File > Save As. Name your file accordingly and select your file destination. 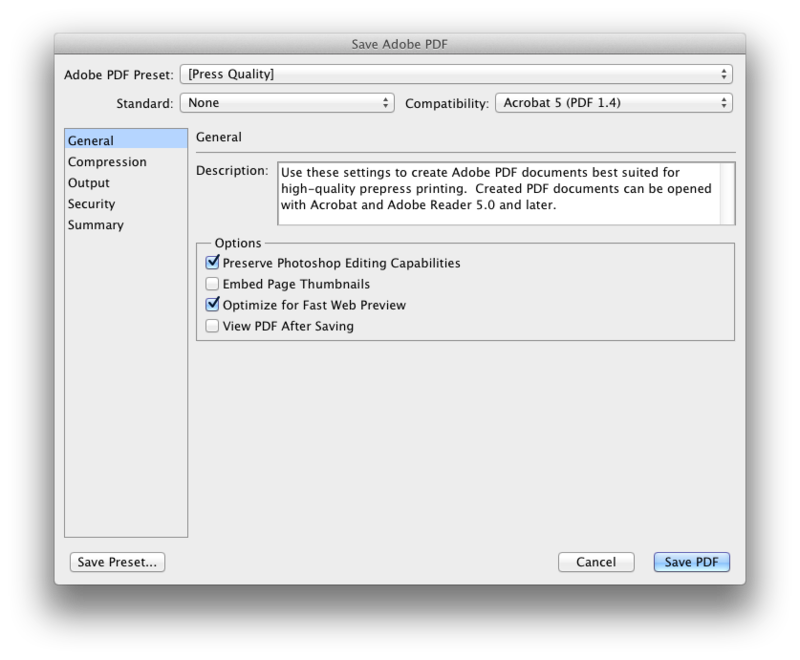 Be sure to change the format to Photoshop PDF, then press Save. Have you found these tips helpful?